Any words I put here will only take away precious time before you watch the amazingness that lies below, so I'll keep it short. 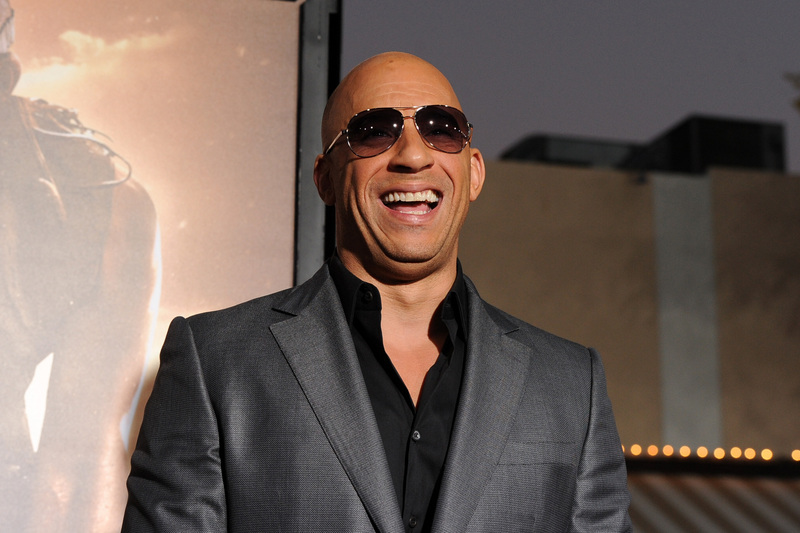 Vin Diesel danced to Katy Perry and Beyoncé and posted a seven minute video of it to his Facebook account. Seven. Minute. Video. It is the single weirdest thing you will see today. If it isn't, your life is too crazy and you need to get a grip. Diesel posted very strange footage with the simple caption, "You know I love music..." Actually, I didn't know, but I most definitely know now. In the video, Diesel dances and lip-syncs to "Dark Horse" by Katy Perry and "Drunk in Love" by Beyoncé only taking a brief break in the middle to explain why he's so happy. "Guys, I'm just excited and happy ... Universal just called me and told me that Riddick is number one on the DVD charts." Um... I suppose that's cause for celebration. He then goes on to explain that he wasn't at the Grammys because he was working, but did anyone really expect Vin Diesel to be at the Grammys? Anyway, this video is like watching Vin Diesel if he was a 13-year-old girl dancing alone in her room. We've all been there, we just maybe grabbed our crotches a lot less than Diesel. Seriously, there is so much crotch grabbing. Also keep your eyes out for Diesel awkwardly leaning into his computer (why not put the computer up higher, Vin? ), the random microphone in this otherwise empty room, and his love of the surfboard line in "Drunk In Love."